Looking for a garage door specialist? At Middlesex Door Systems, we are a family-run business totally specialized in garage door systems for residential, commercial and industrial applications. Since 1985, we have proudly provided superior quality garage doors and personalized customer service. 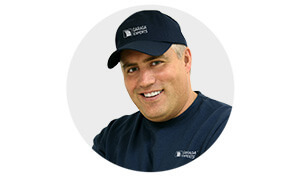 Quality is our commitment and is why our garage door line is Garaga. Garaga is a leading garage door manufacturer renowned for its solid door construction and energy efficiency. In addition, their vast range of styles and colors can enhance the look of any home. Visit our image gallery to discover over 130 different door models. The one to go perfectly with your home is there! Come visit our showroom at 45 Winn Street in Burlington! This is a great way to get to know us and see and feel the quality of our products. Our team will work closely with you to find the best garage door to suit your needs and budget. Whether your project is commercial or residential, complete our free online quotation form. Your garage door is the biggest moving object in your home. To safely raise and lower your garage door, your door opener has to be powerful and durable. At Middlesex Door Systems, we only recommend the best in garage door openers for accessing your home and that’s LiftMaster. LiftMaster, the safest and most secure door opener on the market, is made by The Chamberlain Group. By always focusing on safety, they have designed their powerful motors by exclusively working with top quality components. LiftMaster is now the leader in its category and the most reliable door opener on the market. Go to our door opener section to see our different models and learn more about their specific features. They can by installed for either residential or commercial applications. At Middlesex Door Systems, we firmly believe that proper installation is the key to a top-performing garage door system. With a total of 25 years’ experience, you can be assured that our employees are well-trained and ready to give you the fastest service in the industry. With fully-stocked service trucks on the road, we can rapidly repair or replace any brand of door. We also provide 24‑hour emergency service for commercial and industrial door systems. Avoid mishaps with one of our preventive maintenance programs, the best way to keep your garage door working optimally longer. At any time, feel free to get in touch with us by phone or schedule a service call online now. We serve a large territory including Bedford, Arlington, Carlisle, Belmont, Wakefield, Somerville, Salem, Manchester, Burlington and the surrounding areas. We hope to see you soon! Burlington, Lexington, Bedford, Winchester, Woburn, Reading, Cambridge, Stoneham, Belmont, Arlington, Lynnfield, Weston, Concord, Carlisle, Wellesley, Belmont, Wakefield, Marblehead, Billerica, Chelmsford, Andover, North Andover, North Reading, Newton, Watertown, Sudbury, Lincoln, Melrose, Newburyport, Somerville, Salem, Saugus, Wilmington, Tewksbury, Topsfield, Waltham, Gloucester, Manchester, Topsfield, Wayland, Swampscott, Westford.